The Reserve Bank of Australia Museum is a unique attraction located within the Reserve Bank of Australia, showcasing the history of Australian currency for those looking for an informative experience. First opened to the public in 2005, the museum’s main aim was to put on display the archives of all the types of notes in the bank, all the while telling the story of Australian currency. This makes for an insightful tour because it gives visitors a glimpse into Australia’s currency notes within a socioeconomic context. The display not only makes you appreciate the different stages but also allows you to see political milestones throughout the different forms of currency. 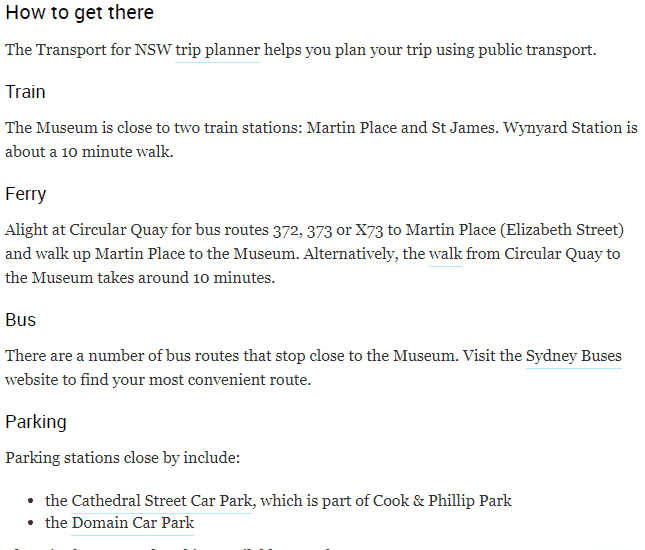 On arrival at the Reserve Bank of Australia Museum, the friendly staff will usher you in and direct you on where to start the tour. There are different exhibitions at different times of the year; each with an exciting theme that revolves around money. As you walk around the museum, look out for money boxes that date back from years gone by, alongside relevant literature. You will also find interesting material that gives you a glimpse into the world of currency. In addition to learning about the rich history of Australian banknotes, you also have the chance to find out more about currencies from other countries. The museum also features the country’s notes as told using film and photography. This is an ideal time to learn more about the intricate designs and materials that help prevent the use of counterfeit notes. Don’t miss the opportunity to learn about the process that goes into printing the notes – complete with a visual display for a detailed explanation. 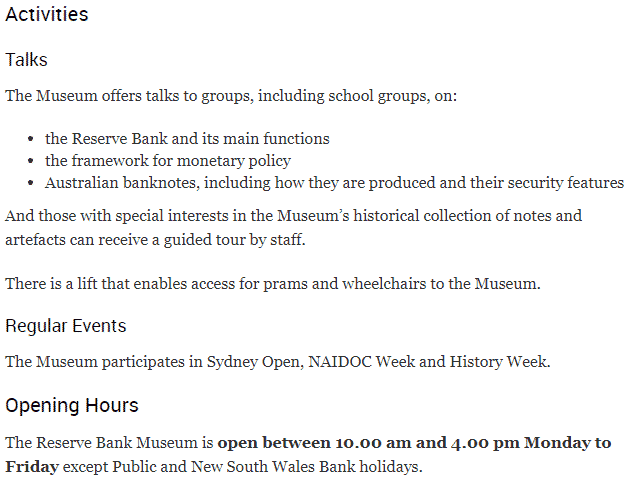 The Reserve Bank of Australia Museum is open on weekdays between 10am and 4pm, and admission is free.